A collaborative work by Sajib, Basem, and Calvin has been accepted for publication in Chemical Engineering Journal. Sajib’s article has been accepted for publication in Bioresource Technology Reports. Congratulations, Sajib! Nesma receives Petro-Canada Graduate Scholarship. Congratulations, Nesma! John receives Queen Elizabeth II Graduate Scholarship. Congratulations, John! Sajib receives Dr. Donald R Stanley Graduate Scholarship in Environmental (Civil) Engineering. Congratulations, Sajib! Brandon On and Rochelle De Omania joined the group under Faculty of Engineering Undergraduate Dean’s Research Award Program. They will be working on microbial electrochemical technologies. Welcome, Rochelle and Brandon! 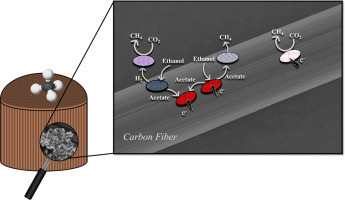 A research article has been accepted for publication in Journal of Environmental Engineering and Science. It was a collaborative work by Sajib and Basem. Congratulations, Sajib and Basem! 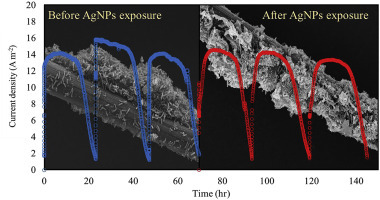 Basem’s paper on the impact of antimicrobial silver nanoparticles on anode respiring bacteria in a microbial electrolysis cell has been accepted for publication in Chemosphere. Congratulations, Basem! The Dhar Lab is pleased to welcome Dr. Md. Abdullah-Al-Mamun as a Visiting Professor. Dr. Al-Mamun is an assistant professor in the Department of Civil and Architectural Engineering at Sultan Qaboos University, Oman. He also has an active collaboration with Dr. Dhar in several research topics related to microbial electrochemical technologies. Welcome, Dr. Abdullah-Al-Mamun! Tae Chung (Calvin) joins the lab as a Research Assistant. He will be starting his M.Sc. in Environmental Engineering from Fall 2018. Calvin completed his B.Sc. in Environmental Engineering from the University of Alberta and previously worked with Dr. Dhar under Faculty of Engineering Dean’s Research Award Program. Welcome back! 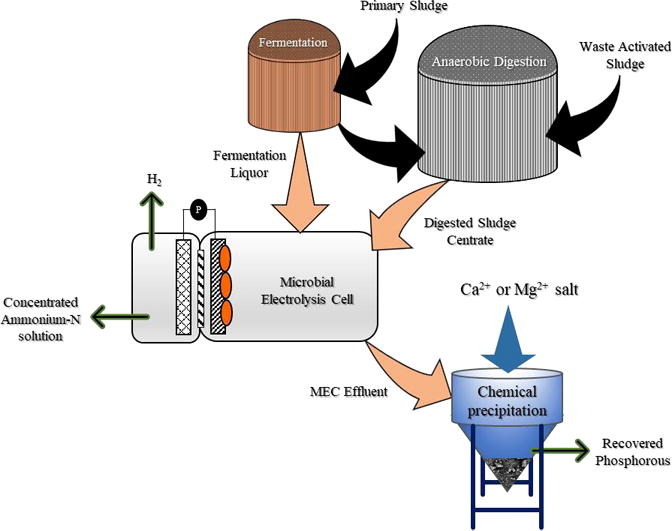 Sajib’s paper on anaerobic digestion has been accepted in Bioresource Technology. Congratulations, Sajib! Sajib presented a poster at the COSIA Innovation Summit in Calgary, AB. Sajib presented his work at the IWA Specialized International Conferences on Ecotechnologies for Wastewater Treatment (ecoSTP) in London, ON. Bappi Chowdhury joins the lab. He completed his B.Sc. in Chemical Engineering from Bangladesh University of Engineering and Technology in 2017. Welcome, Bappi! Nesma received Dr. Donald R Stanley Graduate Scholarship in Environmental (Civil) Engineering. Congratulations, Nesma! Dhar Lab presented three oral presentations and two posters at the 53rd Central Canadian Water Quality Conference in Toronto, ON. Dr. Dhar gave an invited talk on anaerobic digestion, and Sajib and Basem presented their work on microbial electrochemical technologies. John Ryue joins the lab. He completed his B.Sc. in Environmental Engineering from the University of Waterloo in 2016. Welcome, Jhon!